On August 31, 2012, ChasingART received a nomination for One Lovely Blog Award by Friendlytm, the creator of a most fascinating blog, My Notebook. I am honoured to accept the nomination, but I’m even more excited to connect with a fellow blogger who shares my interest in artistic undertakings. If you ever want to discover the excitement of the art world, you will want to follow My Notebook. Friendlytm has been a blogger for approximately 4 months, but the breadth and variety of his subject matter is remarkable. I am impressed by the way in which Friendlytm engages readers to embrace beauty and look for ways to integrate artistry in their daily routines. The credit goes to My Notebook. I am privileged to have bloggers like Friendlytm stop by for a visit. To me, blogging is about sharing thoughts, knowledge and experiences. We tell the story of our generation, and link our global village in ways never before imagined. Our heritage and cultural values are linked with the past by creative and performing arts; which, in turn forge the way for future endeavour. My Notebook creates a space in which to pause in the middle of a busy day, to breathe in the beauty of the centuries and come away refreshed to pursue our personal journey of discovery. I’m relatively new to WordPress – my launch was May 1, 2012. I love art, music, history and travel. But most of all, I love connecting with others and hearing their stories. We live complicated lives that are exceptional and full of adventures. John Ruskin (1819-1900) said, “What we think or what we know, or what we believe in is, in the end, of little consequence. The only consequence is what we do.” ChasingART is my way of understanding the creative nature of humanity. Accepting this award has given me the opportunity to thank bloggers for their efforts in creating remarkable blogs that speak about art and creativity. They help me to chaseART. 1) River of the Heart brings together poetry, colour and tastes of life. Qiquan creates poetry that speaks to a journey of innovation. 2) Brissiemaz is creating a book and along the way, she is living an extraordinary adventure. 3) Hungry.Thirsty.Crazy Karina is a remarkable poet who is not afraid to tackle difficult issues with humour and compassion. 4) Not Only For The Birds Extraordinary photographer who shares his joy of hiking and bird watching. His love for the environment is captured in each of his photos. 5) Canadian Hiking Photography: A photographer that highlights the beauty, wildness and greatness of Canada, my country. 6) Picture Perfect Memories For Life: Coreen shares her artistic gift for photography. She puts her heart and soul into each photo. 7) MesAyah: Extraordinary musician that shares his life “through a mic.” His 365 daily challenge is to write one verse daily for a year. 8) Double May Combines travel, food, art and photography from all over the world and brings it to direct to your internet doorstep. 9) ConorCullen: Coner purchased his first camera in May 2012, because he couldn’t afford a Porsche. In my opinion, his money was better spent on the camera! See for yourself. 11) Ed Spadoni Photography: For those who want to discover your artistic talents, Ed is an excellent mentor. He is dedicated to emerging photographers everywhere. 12) It’s a Beeautiful Life: A refreshing blog about dreaming, believing and letting go…documenting the adventures along the way. 13) My Logbook– Antonio De Simone believes the winner is the man who does not give up his dreams. Inspiring thoughts. The blog is written in Italian so use the translator. I am trying to practice my Italian! 14) Olivia May Photography – I knew that this blog was special when I read the post about Marie Antoinette and The Petit Trianon. Olivia May captures the story. 15) The Amateur’s Quill – Do not be fooled by the word “Amateur.” Tebogo, who speaks the artistic language of the Ndebele, is witty, generous and has an artistic flare that sparks open and candid debate. Blogging has been a way to stretch my knowledge and gain a fresh perspective of the incredible world in which we live. I look forward to the ongoing dialogue. Congratulations! I find your blog so amazingly varied and enjoy reading it and thank you for the wonderful photos too. 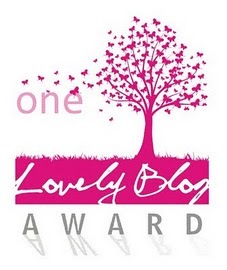 Thank you for nominating my blog…..I must admit I feel thrilled and not at all sure what to do next. All of this is so new to me that I feel like a ‘babe in the woods’ ( I’m not using ‘babe’ in it’s modern day sense, needless to say!). Thanks again and I’ll get to work NOW on accepting your kind nomination……. assuming I haven’t left it too late. Thanks for your prompt reply. When I’ve decided who to nominate do I simply post the info on my own blog? That is exactly what you should do – check out my post for the rules and you are ready to go. I look forward to seeing your nominations!!! I have already been to visit your blog today! Your colors welcome the day!! And I cannot think of a better start to mine!! Hi Rebecca!! Thank you for nominating me! 🙂 Please do continue chasing the ART! Lovely blog! I am delighted that you accepted my nomination! You have a exciting blog that is fun to visit and add comments from time to time. Glad that we connected an looking forward to our ongoing discussion!!! You made my day!! So often we pass through life ruled by the tyranny of time without taking a few precious moments to really look around us and relish the beauty found — or indeed celebrate the joy of communion with friends, the love of art and nature (both natural and manmade) surrounding us or the peace and rest of quiet. With your words, you encourage and ask us to engage more deeply with life and the “real-ness” of everyday living that is found in the small spaces between the hectic pace that is so important to society around us. Thank you for reminding me to stop for a moment to remember what is truly important! You work is amazing, and I would also like to thankyou so much for including me!! You have an amazing way of discussing difficult concepts via poetry. Poetry speaks to the soul, deeply…profoundly. It is a unique language that captures emotions in a single phase, even a single word. Thank you so much for accepting the nomination and for sharing your thoughts via your blog. I look forward to our ongoing dialogue!! You have completely warmed my heart! And have given me such great motivation and confidence to keep going! Thankyou, for your support you are a lovely human being! My absolute pleasure. There are many adventures awaiting us…. It is my honor to share and learn from fellow bloggers like you. Thanks so much for your beautiful and kind words about my blog. It is indeed rewarding and encouraging to me. Thanks so much for your beautiful and kind words about my blog. I am thrilled after knowing how you think about it. i started blogging at nearly the same time as you, near the end of May. It is an honor to be your friend. Indeed communicating with a fellow blogger like you is rewarding. i also love art, music, history and travel. Thanks so much for accepting my nomination, and visiting my recent post of art jeopardy. I have been very behind these days in blogging. Your post today has given me great encouragement! i am reblogging your post to my blog in order to share with my friends and family. Thanks again. I also look forward to continuous sharing and discussing topics of similar interests. Congratulations on receiving another important blog nomination. The two of you will have a rewarding conversation! Thank you!!! I am thrilled with the nomination!! !